Mouthguards in Houston Texas.Your teeth are quite resilient and can withstand a lot. However, when you are participating in a sport, especially contact sports, the chances of your teeth being injured are high. The result – broken, fractured, chipped, or cracked teeth, which can even lead to an infection. Therefore, it is important to protect your teeth when you are engaged in sports where you are likely to receive an injury to your mouth, and the best way to do that is by using a mouth guard. At Edge Dental, we offer a range of dental solutions, including mouthguards, which can help to protect your teeth from any injuries. A mouthguard is a soft, flexible device, usually made of plastic or laminate, that fits around the upper teeth. In the event of a blow or an impact, the mouth guard buffers the force of the impact by absorbing the shock and vibrations. As a result, they help to prevent dental injuries such as broken or fractured teeth and injuries to the jaw. By fitting around the teeth, mouthguards also help to prevent cuts to the lips and tongue. Mouthguards are not just limited to protecting your teeth. In addition to preventing dental injuries, mouthguards help to prevent the occurrence or mitigate the severity of concussions. It is for this reason why mouthguards are mandatory in some types of sports, for example, boxing, football, wrestling, ice hockey, and martial arts. Mouthguards are mostly used by athletes who are participating in contact sports, or other sports that can lead to a head injury – and thus an injury to the mouth. However, this does not mean you cannot wear them. If you are participating in any sports, wearing a mouthguard is a great way of preventing dental injuries. It is also a good idea to wear a mouthguard when skating, skiing, or participating in any other type of fun games and sports that can cause dental injuries. 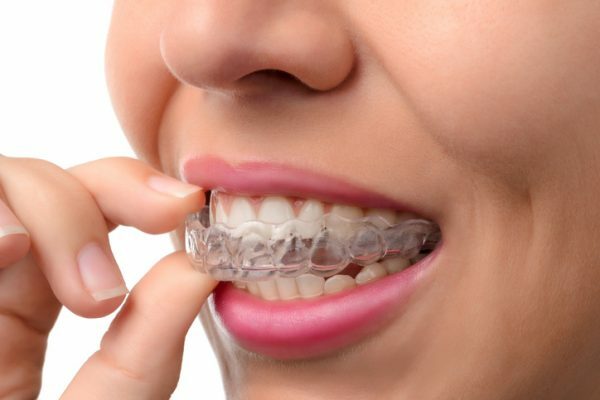 There are also specialty mouthguards, which are designed for people who suffer from bruxism or nighttime teeth grinding. Therefore, if you suffer from these conditions, a mouthguard can help to prevent or reduce the damage to your teeth. Mouthguard plays an important role in protecting your teeth and mouth from injuries. However, it can only do so if it fits perfectly. In fact, an ill-fitting mouthguard can increase the severity of an injury. Therefore, when you are choosing a mouthguard, you should ensure that it fits perfectly, is comfortable to wear, and stays firmly in place during an action. It is also a good idea to choose a mouthguard that is resilient and easy to clean to ensure that it serves you for long. Mouthguards are important dental devices that can protect your teeth from injuries and damage, saving you a lot of trouble and money. For more information about mouthguards, call us, Edge Dental, at (281) 940-8940 today.